Our March 07 exhibition will present a series of photographs from the archive of Charles Gilbert. Charles Gilbert was the proud owner of a panoramic camera that he used as often as possible as illustrated in the following pages. Although the photos are not signed, Gilbert shot many of them but he also appears in some. The decision to break this archive was not easy but we tried to keep related photos together in groups. 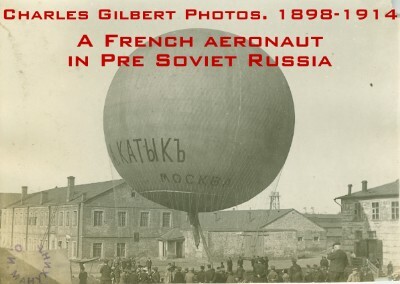 This exhibition presents the ballooning part of the archive. Aviation related photographs will be offered at a later date. The subjects we plan to showcase next are 19th century opera singers and circa 1910 aviation featuring pioneers Bleriot and Chavez.